The decision to help an elderly loved one such as a parent move to assisted living is a complex one — both emotionally and practically. Ultimately, you want your loved one to be safe, well and feel comfortable with this life transition. For many elderly people, the decision to move to a residential care facility may present a major emotional obstacle, causing them to battle difficult emotions such as guilt and anger, driven by a fear of losing independence. How can you evaluate together when is the right time for assisted living and navigate the difficult conversation about moving to an assisted living facility when this may be the healthiest choice for them? We’ll explore the signs that your loved one should no longer be living at home alone, provide helpful guidance on the variety of elderly care facilities available, and how to have an open, empathetic conversation with your elderly parent about their options. The first sign that your elderly loved one may need help is poor physical well-being or worsening health. Did your elderly loved one recently experience a fall or a medical emergency? Is their chronic health condition deteriorating? Are they taking significantly longer to recover from illness? Do they seem frail, experience fatigue quickly, or have poor grip strength? Do they have difficulty completing daily living tasks? Are they neglecting personal care, such as forgetting medication, skipping meals, or showing poor personal hygiene? If you fear your elderly loved one will not access medical help quickly enough in an emergency, it may be worth helping them relocate to an assisted living facility where their wellbeing can be looked after by professionals. The quality of our social relationships can have a significant impact on our emotional well-being. Does your loved one appear anxious or depressed? Does your loved one have active friendships? Do they enjoy regular outings and adventures outside the house? Do they still enthusiastically enjoy their hobbies and interests? Do they have someone — you, a friend or another family member — to check in on a regular basis? If an elderly person living alone faces increasing loneliness, it may be worthwhile to move to a new home that can provide them with a social community. If your elderly loved one is struggling, you may discover signs of neglect in their home. Are there signs of lax housekeeping or clutter? Do they have piles of unopened personal mail or bills? Do they keep stale or expired foods past their use-by date, or purchase multiples of the same item? These signs may indicate an underlying mental health issue, such as dementia, and should be investigated further by a medical professional. Be honest with yourself about your elderly loved one’s health, safety and emotional well-being. Individually, these signs may not indicate that they need help, but it’s important to evaluate the situation holistically. 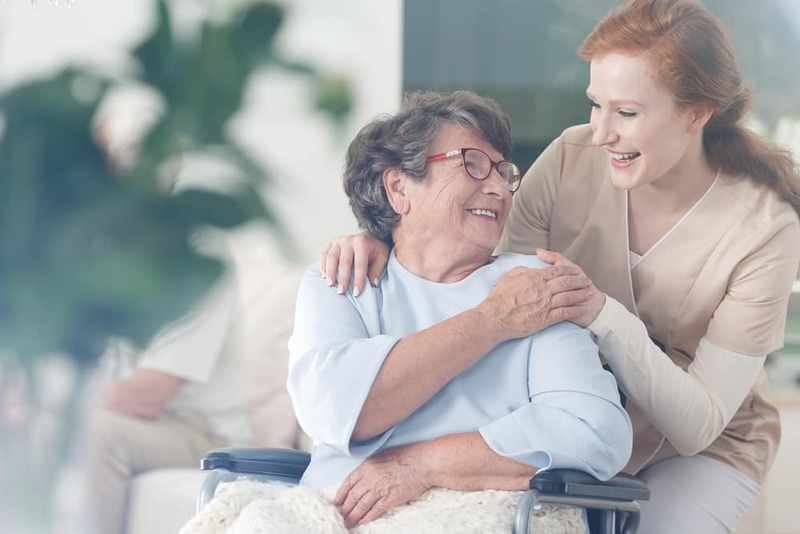 If your elderly parent struggles with a serious medical condition or experiences a rapid deterioration in their mental or physical health, finding an elderly care home that can support their medical condition will be a priority. If your elderly parent needs some support in daily activities, but can function well for most tasks and would benefit from a more social lifestyle, it may be worth exploring options together in independent senior living or an assisted living facility. The options for senior living in Australia are wide and varied. Understanding the differences between these elderly care facilities — and what levels of support they provide — is the first crucial step in discovering what will work best for you and your elderly loved one’s needs. An assisted living facility is a type of elderly care home, designed to provide non-medical care. It aims to help elderly individuals with basic daily tasks, such as preparing meals, doing laundry, driving or cleaning, in a setting that resembles a personal home. Assisted living communities come in a wide range of styles, allowing your loved one to live in the kind of environment that best suits their lifestyle, from a resort-style, luxury apartment to a quiet suburban village or intimate cottage with a small number of residents. This style of senior living is best suited for elderly individuals who are mobile and mostly independent but need occasional help with daily tasks, cannot live safely at home and would benefit from an active social community. In contrast to assisted living facilities, independent retirement living provide seniors with an even greater level of independence. This type of retirement housing often takes the form of a fully equipped private apartment where seniors are free to live independently and enjoy events and entertainment within a community. When trying to decide between an assisted living facility and independent retirement living, consider your loved one’s needs. Do they feel unsafe living alone? Are they physically or mentally unable to live alone? Would they benefit from having medical help on hand at the facility? Do they need a small level of support to perform daily tasks? If your answer to any of these questions was yes, assisted living is likely a better fit than independent living. A long term care facility, such as a nursing home, is designed to provide 24-hour nursing care to elderly individuals. Long term care combines a high level of supervision in a secure setting with expert medical care and support. This style of senior living facility is the best option for elderly parents with a prolonged physical or chronic illness, significant disability or cognitive impairment, such as Alzheimer’s Disease and other forms of dementia. Are both of your elderly parents living and one of your elderly parents needs more assistance than the other? Moving elderly parents to assisted living can be a challenge due to a misconception that elderly couples will be forced to live apart. In fact, many assisted living facilities offer an independent living option. This means your elderly parents can live together in the same apartment, with one spouse receiving care and the other living independently. One of the benefits of assisted living is that it can adjust to an elderly couple’s needs and provide a more supportive level of care over time when it is needed. How to convince a parent to go to assisted living? Having a conversation with your loved one about senior care homes can be a challenge. The last thing you want is for your loved one to feel like they are being pressured or forced into an elderly care facility without consultation. How can you help your elderly loved one receive the help they need while respecting their feelings and championing their independence as much as possible? It is normal to encounter some resistance. Most elderly people want to feel their adult children care about them, but fear being cared for. The key is to broach the topic gently. Consider the topic from your parent’s perspective: How would you feel if you were being asked to give up independence or move away from a comfortable family home into an unknown environment? Many elderly parents feel a strong desire to retain their autonomy for as long as possible and appreciate their children’s concern, but feel annoyed by overprotectiveness. This makes it important to express concern and respect, rather than attempting to control. Having a non-threatening conversation with your loved one face to face will give them the opportunity to reflect and share their thoughts and emotions. It will also allow you to discuss the value, benefits and options for assisted living or elderly care facilities together. Your aim is to navigate to a place of mutual understanding and a clear, agreed-upon decision with patience, thoughtful communication and sensitivity toward their fears and emotions. Often, it’s less a case of ‘how to convince a parent to go to assisted living’ than a case of ‘how can we decide on the best option for your wellbeing together?’ If your elderly loved one resists and you fear for their health and wellbeing, it may be best to bring in a doctor, physician, social worker or a priest to consult with them about their welfare. Moving elderly parents to assisted living comes with a number of challenges. For many older people, the decision to move to an elderly care facility is an emotionally difficult one, bringing up feelings of guilt, anger, and fear of losing their independence. You want your loved one to feel safe, healthy and comfortable with the decision. Before deciding together on the best steps to take, it’s important to carefully and honestly evaluate your loved one’s welfare and needs. Consider the variety of elderly care facilities available and decide together on the best option to suit their needs and preferred lifestyle. It’s crucial to be patient and empathetic when discussing assisted living options with your elderly loved one. We recommend taking a consultative approach to ensure they feel empowered and heard throughout the process. After all, the goal is to ensure they receive the emotional, physical and medical support they need to live with the highest possible quality of life. Finally, families are often concerned about what to do with a home full of possessions that have accrued over many decades. This process can be overwhelming for any family and it may be difficult to know where to start with decluttering – you’ll need to consolidate possessions, choose which precious possessions to retain, and make sure your elderly parent feels comfortable. A crucial part of helping your loved one feel comfortable emotionally with this transition is to ensure that their possessions are handled with care and respect. For this purpose, it can be helpful to bring in a property clearance expert who can help organise these possessions with sensitivity and respect. Get in touch today for a free consultation with Bob Morton about how to declutter your elderly loved one’s possessions and help them overcome the psychological barrier of moving to an assisted living facility. The Atlantic. (2016). What Aging Parents Want From Their Kids. Carol Bradley Bursack. (2018). Five Reasons Why Assisted Living May Be The Best Solution for Your Loved One. Care Conversations. (2018). Moving to Assisted Living Care. The Australian. (2017). Families Need to Face Facts About Caring for Elderly Parents. Queensland Government. (2018). Safety At Home Advice. MyAgedCare. (2018). Access Aged Care Information and Services. MyAgedCare. (2018). Support For You As A Carer.